Simply Raising 8: What Aps I like- mommy Panel Question and is this phone really that smart? What Aps I like- mommy Panel Question and is this phone really that smart? 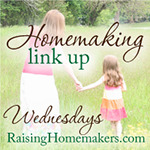 Is a panel of mommy bloggers who will be answering a question relating to parenting each week. This is hosted by Kelly AT the Grant Life. link is on the right side of my page so you can go check out the other bloggers answers. What are your favorite Mommy apps? I have a Samsung Galaxy s touch screen which has a full pull out keyboard. I thought it would be good if the screen started to give out and I also was really not interested in upgrading from my Dinosaur phone I had, until a few months back. I upgraded because my husband kept mentioning it. We had discussed it and agreed on the fact that we could not afford it and I did not want one. It still kept coming up that we were getting them and I would say I thought we agreed I did not want them and we can’t afford them. Well he kept forgetting we had “agreed” (He said ok your right but did not mean it LOL) and so…here we have them. He hates that I can be on my blog while we are anywhere and everywhere now. It turns out there are parts of it that I like better than him about it. He downloaded a few toddler learning games but mostly he sits and plays Angry Birds and bejeweled. He is not that good at bejeweled so He quit but he smokes me at angry birds so he plays it all the time. Me I try to get my blog going. If one good thing came of this phone it is that we do not have this problem anymore. Number 2 is the maps application. Oh this is so much easier even though it loses signal at various spots on long trips it is over all great. I use the kindle book app for books to read to babies but have not found any really neat picture books for babies that are free. I loaded “Alphabet for Toddler” but I did not care for it over all. I also am not big on letting a child play with my one that cost so much to replace. Oh yeah, I want my own phone back. I like the mini computer that this phone is but it is not for making phone calls on. My cheek hangs up on people. The screen does not always work already to answer a call and i think it is a driving hazard trying to make a phone call with one of these. the old one i could open and dial with out even looking at it . this one you have to many steps to get to a touch screen and when you have o press one to talk to an agent you have to press a button to get to the number keys again. If my kindle fire had full time internet and not just wifi I would get rid of this new phone and pay the cost of the contract i am failing. oh well another 1 and a half years or more left on it.